Our line of various types of hand held marking tools, such as hand stamps, hand holders,numbering heads and air hammers. Most of these items are readily for sale through the on-line store. Or you can request a quote on Custom Hand Stamps. 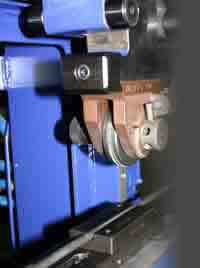 All types of steel stamps and dies for various marking devices, including roll dies, custom steel stamps and inserts. 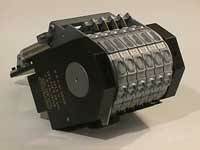 In this product line are retainer and backing plate sets, along with the stamps that complete them. 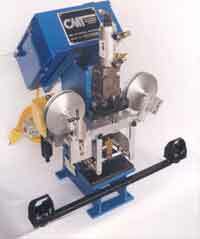 You can also request options available for stamping dies and welding stations. Review several different numbering head options for various applications, including remote and automatic numbering heads, and integrated marking systems. Many models of hot stamp markers for plastic marking applications are available. 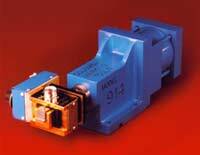 We also provide options such as a foil feed mechanisms and modular heat controls. Get a quotation on our best selling line of markers. Automatic Air Impact Markers are simple, durable and fast. These marking tools can also be integrated into a turn-key station to fit your specific marking requirements. Powerful, reliable, metal marking systems feature our standard machines and customized applications. Also available are tooling, roll dies and stamps. Columbia offers several different models of dot-peen and scribe marking machinesfor varying applications. We also provide many options, such as rotators, fixtures and software to integrate into a 2D/UID marking system. 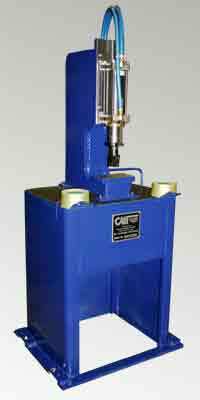 Hot stamping presses for marking plastic, including optional equipment available. Our Slide-A-Mark presses offer a wide range of tooling and accessories to make this machine a very versatile option to fit your specific marking application.